In the early days of Uber and Lyft, rideshare drivers used to lend their phone chargers to passengers as well as offer free snacks, gum, and bottled water as a way to welcome them into their car and improve their rideshare experience. Drivers also did this to earn more tips and higher driver ratings. Problem was, rideshare drivers had to buy these supplies themselves with no guarantee of a return on their investment, so the practice quickly went out of style. So how does a rideshare driver like you brighten up the day of hungry, thirsty passengers with dying cell phones and earn extra income while doing it? Read on! Introducing an ingenious new service called Cargo, which supplies rideshare drivers with a free, app-controlled vending box that you easily install in your own car. The box comes pre-filled with popular items like snacks, small electronics, health and beauty products, cell phone earbuds, and beverages that passengers can sample for free or purchase for a low cost through their phones during the ride. The best part is you’ll earn money every time a passenger orders something from the Cargo Box, whether that item is free or not. The box and the items inside are provided to rideshare drivers by Cargo at no charge. To sign up for a Cargo box today, click HERE. It’s a win-win for you and your passengers! Cargo is a 100% free in-car for rideshare drivers that contains items that passengers can sample or purchase through the Cargo app. Drivers also download the app to their iPhone or Androids to keep track of orders and to be paid. As we mentioned earlier, a rideshare driver earns money each time a passenger orders through the Cargo box installed in their car. Once you join the Cargo team, you’ll be sent a Cargo Box pre-filled with inventory products. We’ll go into the contents later. The box, which is made of sturdy plastic and features lots of storage compartments built into it for the variously shaped products, straps securely to the center console of most cars. It only takes a couple of seconds to install it. The box has a see-through lid that snaps shut when you push down on it. The part of the lid that opens faces the front of your car, so all you have to do is manually pull up on the lid when it’s time to hand items over to passengers. Since the lid opens from the front, next to the driver, backseat passengers can’t open it and grab anything inside the box. Cargo emphasizes driving safely, so only open the box and distribute items when your car is parked. The box is imprinted with your personal Cargo code, which the passenger will enter on the Cargo app or website when they wish to purchase or sample an item in the box. The code makes sure that you receive the profits from any transactions. No cash is ever exchanged. It’s all done through the app, which is safer and more convenient for you. The Cargo app automatically keeps track of the items in your box, and sends you more products to restock the box when you’re running low. This is all done free of charge to you. Cargo and Uber are official partners, so you can actually sign up for a Cargo box on Cargo’s website using your Uber account. You can still have a Cargo box in your rideshare vehicle if you drive for Lyft, Via, Juno or other rideshare companies. You’ll just create an account using your email instead of your Uber account. Click HERE to sign up and get your Free Cargo Box! If you’ve been wondering “how can I make extra money with Uber,” having a Cargo Box in your rideshare vehicle is the answer. Think of it like having an Uber vending machine in your car! 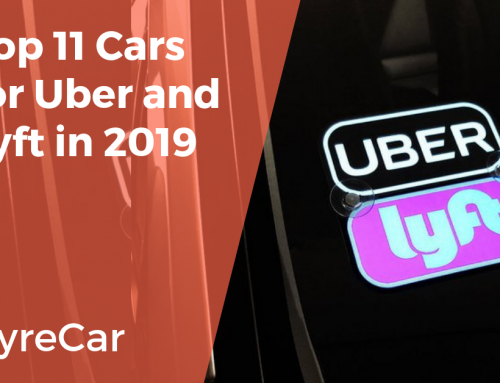 Once a rideshare passenger gets in your car, you mention the Cargo Box and describe some of the yummy snacks and handy products that are available. Point out that some items, like gourmet cookies, can be sampled for free, and that others, like earbuds, breath mints, or Advil, can be purchased for a low cost. It’s best to do this before you start the ride, as handing out items from the box while driving can be distracting and dangerous. If they’re interested, here is the process. It’s really simple. Your passenger opens the virtual Cargo Store at www.cargo.menu on their phone and types in your Cargo ID, which is displayed on the box. The passenger can also scan the code with their camera app. Your passenger will then see pictures of what’s in your Cargo Box on their screen, with descriptions of which items are available to be sampled for free and which can be purchased through the app. If they want something, even a free item, all they have to do is tap the image to add it to their virtual shopping cart. If the item has a price, they’ll pay for the item(s) using their credit card, Apple Pay, Android Pay, Venmo or PayPal. You’ll immediately receive a text detailing exactly what the passenger selected. Then all you have to do is open the Cargo Box and hand the passenger their selections. The entire purchasing process takes about 20 seconds. Think about that! Your rideshare passenger is craving some potato chips and about 20 seconds later you hand them a bag of potato chips. Mind. Blown. Only hand over the items when it is safe to do so, like at the beginning or end of the ride. Remember, you get paid by Cargo for every transaction, free or not, so the more items you recommend, the more money you’ll make! How Does Cargo Make Money? Cargo makes lucrative deals with suppliers to exclusively offer certain brands in their Cargo Boxes. In other words, you might find a tin of Altoids breath mints in your box, but there won’t be another brand of breath mints in there to compete with the Altoids. Meaning, if there are less product options to choose from, passengers are “forced” to sample, and hopefully, purchase, only the products offered to them, making more money for that particular supplier. If the supplier makes money, you can bet they’ll draw up another big money contract with Cargo to continue selling their brands in Cargo Boxes. Since passengers can also sample certain food items in the Cargo Box for free, like an independent brand of gourmet cookie they may have never heard of before, there’s a chance that the passenger might like it enough to buy that same brand of cookie from the Cargo Box in the future. Again, suppliers pay Cargo to get their specific products in front of passengers, without competition from other similar brands. Cargo Boxes are currently available to rideshare drivers in Seattle, San Francisco, Los Angeles, San Diego, Dallas, Washington, D.C., Atlanta, New York City, Boston, Chicago, Detroit, and MInneapolis. Cargo is currently accepting applications from drivers all over the country, meaning the company is planning on expanding into every major metro areas across the US rapidly. Let’s get into more detail about setting up your Cargo Box and what it can do. Once you sign up, Cargo ships you a fully stocked Cargo Box along with extra supplies for when you run out of certain items. Uber drivers can also pick up refills at a local Uber Greenlight Hub, if there is one in your area. The box comes equipped with an adjustable strap that easily secures it to the center console of your car. Instructions are included. Just pull the strap tight to keep the Cargo Box from slipping off the console. The latch that opens the lid faces forward to allow you easy access to the items inside. This prevents your passengers from reaching inside the box to grab stuff. You plug a USB charger leading from the front of the box into your car’s charging port. This lights up the interior of the box so you and your passengers can always see what’s in it, even at night. Here’s a cool feature about the box: plugging the Cargo Box into your car charger port turns it into a multiple cell phone charger! There are two USB ports in the front of the box and two in the back, so you can charge your phone and three others at the same time. This is something your passengers will really appreciate. It also saves you the headache of unplugging your phone so you can charge someone else’s phone instead. That’s it! You’re ready to go out, pick up passengers, and make some extra income with your Cargo Box! Earbuds for cell phones etc. The contents of Cargo Boxes may vary from city to city. But as you can see, these are all popular items that people can really use or want to consume at any time of the day. As mentioned, drivers make a profit from all Cargo Box transactions no matter if the item is free or sold for a retail price. 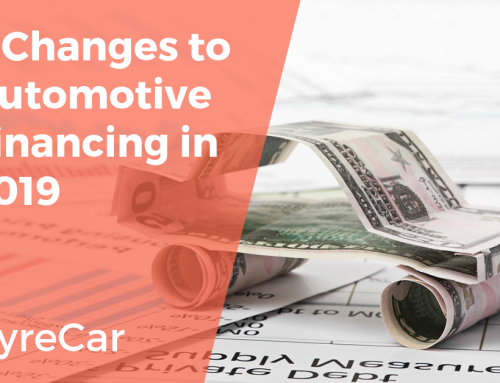 Let’s break down how drivers get paid from Cargo transactions. Drivers make a minimum of $1.00 for each Cargo Box sales transaction. You get $.50 for a free sample that you give to a passenger. Cargo adds 25% of any retail sales (items the passenger has to buy). Cargo customers can also tip drivers through the Cargo app. Drivers are paid on the 1st and 15th of the month directly to the bank account you provide on your Cargo account. Is Cargo profitable for drivers? The company claims on their website that drivers can earn an average of $150 a month in passive income from having a Cargo Box. Of course, that can be more or less depending on how many passengers you pick up and how many items you get them to buy or sample. But even $150 can go a long way when it comes to paying for gas, routine maintenance like car washes and oil changes, and other expenses. According to an experienced rideshare driver with a Cargo Box, there are a few easy ways to increase your Cargo Box earnings. Encourage passengers to sample the free items in your box. This gets them interested in seeing what else is in there along with the items they can sample for free. Each passenger can sample up to 3 free items per ride, which adds up to an extra $1.50 in your pocket. If they like the samples, they might be more likely to tip you and/or be tempted to buy something out of the box. Really “sell” the free and retail snack items like cookies, chips, and candy to passengers when it’s late at night and people are going to and from bars and clubs. Think of your Cargo Box as a snack buffet for late night partiers! Cargo also offers $20 for each driver referral you send them. 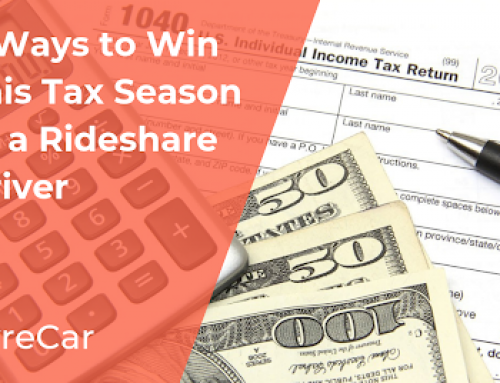 Refer 5 rideshare drivers and you’ve got an extra $100 coming your way. Should You Put a Cargo Box in Your Car? Cargo is the best way to enhance your passenger’s rideshare experience and make your car look more professional at the same time. Installing the free Cargo Box on your center console is a snap, and you can immediately start distributing great products to your passengers for sampling or purchasing. 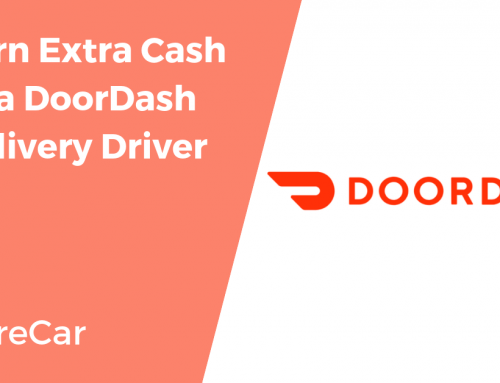 Get ready to increase your driver ratings, become an elite rideshare driver with Cargo, and increase your rideshare earnings at the same time! Oh, one more thing! Rideshare drivers need a car in order to drive passengers and offer them all the awesome things inside a Cargo Box, right? Well, just in case you’re a rideshare driver who doesn’t own a vehicle, HyreCar can help you rent a vehicle for ridesharing in less than 24 hours, with no long term contracts and insurance included. Get started HERE! Happy Cargo Box Earning from your pals at HyreCar! Need Some Extra Income? Become a Delivery Driver for Postmates! HyreCar is the industry leading carsharing platform for rideshare drivers. 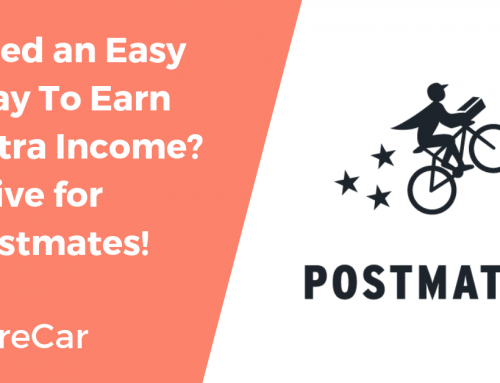 Earn up to $27/hour with Postmates!